Reps for neither Kristen, Rob nor Rupert have commented on or moved to clarify what went down, including the possibility of whether this is all one big misunderstanding. E! 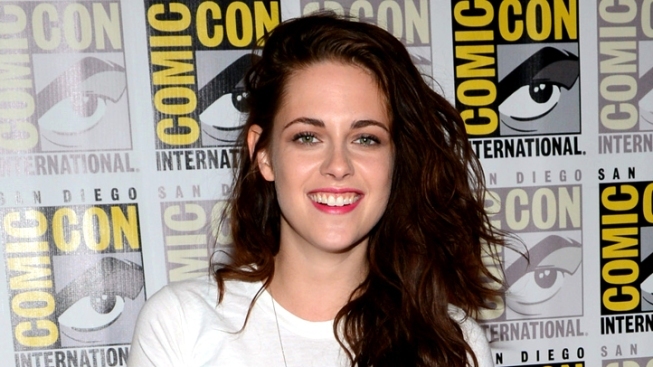 News has learned that Kristen Stewart had a fling with her Snow White and the Huntsman director, Rupert Sanders. Stewart attended the Teen Choice Awards with her Twilight costar and real-life boyfriend Robert Pattinson just two days ago. "Kristen is absolutely devastated," a source tells People. "It was a mistake and a complete lapse in judgment." Us Weekly has also plastered a photo of Stewart and Sanders on its cover that would indicate the two had a romantic relationship. However, a source close to Pattinson tells E! News that Pattinson has always found fame "very difficult and isolating" and has long thought of Kristen as "the only person who he can talk to about that, and he feels like they are both on the same level and they understand one another." "He worships her," the source said. "He doesn't think there is another woman on the planet who is as beautiful and kind as her. He wants to be with her 24/7, he wants to marry her...as far as he is concerned, Kristen is his perfect match...Kristen is perfect to him. That's why he's always known that someday she would be his wife." And while Stewart seems to have the most to lose, PR-wise, Sanders isn't without his own baggage: the British director is married to 33-year-old model, Liberty Ross (who incidentally also starred in SWATH as Queen Eleanor), and they have two young children, Skyla and Tennyson, together. As for what this means for the erstwhile Bella Swan and Edward Cullen, that, for now, is anyone's guess, though as any good Twihard knows, have been together throughout the filming of their blockbuster movie franchise. Though it's hard to pin down an exact date of their coupling, they went full-on public with their much-rumored relationship back in the spring of 2010. And while the promotional rounds for the final installment of their franchise, Breaking Dawn Part 2, will be a bridge to cross once they get to it, at least there will be no tense sets to return to. Production on the film wrapped up this spring.